I love being a dad, but Father’s Day is a little bittersweet for me. Obviously it’s great having a whole day to spend being honored as a dad and to get new works of art to hang on my wall at work. However, I also think about my own father and how much I miss him. He died two years ago of pancreatic cancer. The disease took him quickly, as this form of cancer generally does. He was diagnosed and passed away within two months. He wasn't a perfect man. He was human and made his share of mistakes, but as far as fathers go, I feel pretty blessed to have spent the time I did with him. As Father’s Day rolls around, I think about the memories I have of him, and the experiences we shared. I learned from his successes and mistakes. Both of these helped to form me into the dad I am today. 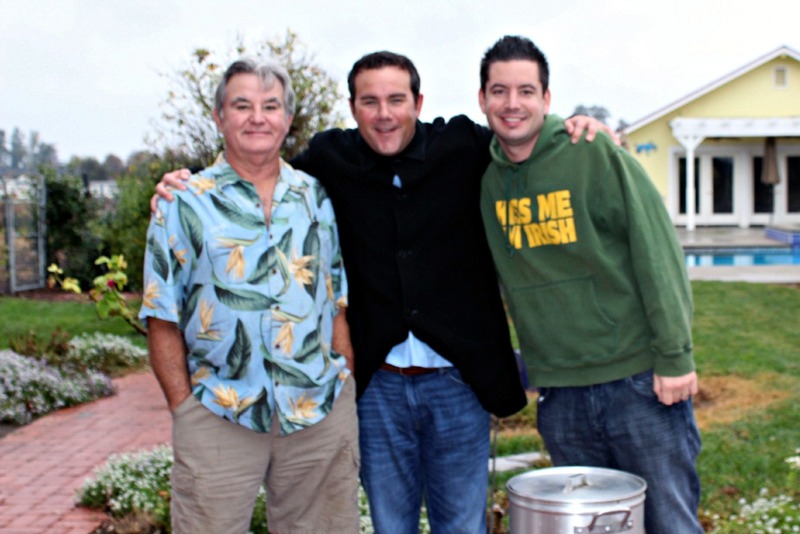 So in honor of my dad, here are five things I wish I could do with him this Father’s Day. 1. Go see a movie. My dad was notorious for loving movies. He wasn't an art house film lover, but growing up we spent many weekends in the video rental store (remember those?) trying to pick out the best VHS tapes. He also took me to my share of theatres. My brother and I still talk about going to see some action movies that we were WAY too young to see. While the special effect explosions fade, the memories of being with dad still linger. As my dad became more and more sick he never lost his love for movies, and I wish I could watch one more with him. 2. Hang out by the BBQ. If you knew my dad, you knew he took great pride in his skill on the BBQ. He would invite anyone and everyone over for parties and would throw every piece of food he could on that grill. I would hang out and try to learn his secrets. As I grew older and had kids of my own, he would travel for hours to celebrate holidays at my house. I was now the one grilling the food, but he would always be by my side. He wasn't there to tell me how to cook the meat, he was there just to spend time with me. I gained my appreciation for the art of the grill from him. I would love to share one more piece of his BBQ chicken this Father’s Day. 3. Read a bedtime story with him. Some of my best bedtime memories are of my dad reading me books like The Chronicles of Narnia and A Wrinkle in Time. I would beg for just one more chapter and more often than not he would give in. When he would visit his grandchildren, I had the pleasure to see him read to them before bedtime as well. I know I'm an adult, but I wouldn't object to one more bedtime story. 4. Let him steal our coffee mugs. I have an irrational love for really nice coffee cups. I see one and have to hold myself back from buying it. My dad was notorious for coming into town and stealing our best mugs. Inevitably, at the end of every visit he would ask me to make him a cup of coffee. Somehow, he wouldn’t get around to finishing it before he left, would smuggle it out of the house, never to be seen again. A few days later I would take stock and notice the mug was gone. I would slap myself in the head and realize the great mug thief had struck again. It became a running joke in our house. I wish I could let just one more mug get stolen this Father’s Day. 5. Watch him with his grandkids. I don't care where we were, or what else was going on, when the grandkids came along they were the stars. “Grandpa Michael” would swim with them, tell dumb jokes, take them to pick vegetables in his garden, or bring them ridiculously huge stuffed animals that we had no room for in our house. Even though my kids are young, they still ask about him two years later. I think they would love to listen to his really terrible jokes one more time on Father’s Day. I know I would. I love thinking about my dad and what we shared. However, I know the best way to remember him is to be a great dad to my kids. As dads, we take what we learn from those that came before us, and raise our kids the best that we can. We won't be perfect, but we hopefully will love our kids with all that we are and show them what it means to be a dad. So in honor of my dad this Father’s Day I'll spend time loving my kids. Maybe I'll read a book to them, or cook with them. Or maybe we will sit on the couch and look through some photos of grandpa and talk about when he used to steal our coffee mugs. 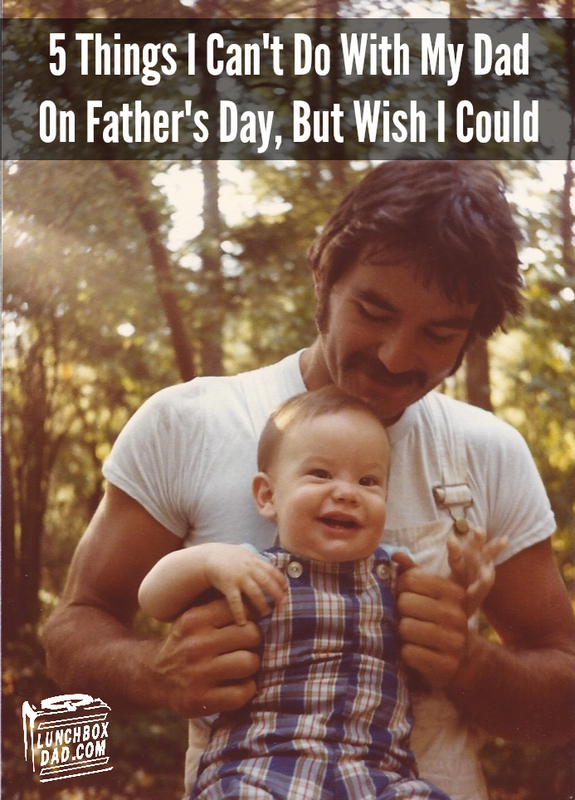 What will you do this Father’s Day to celebrate your dad, grandpa, or men in your life who played that special role? I will be choking back the bittersweet, like you, my friend. Beautiful homage to the ol' mug thief! Thanks Mike, I'm glad you can relate. You're a great dad too BTW. Thanks Aunt Jolene, love you too! Thanks for sharing. Glad you cherish those memories. Hugs as I know fathers day can be rough. After three and a half years without my father, I know the feeling. He passed when my daughter was 8 months old. She never really "knew" him, but still asks about him. My son, 3 at the time, remembers him sometimes. Thank you, Mr. Coffron, for such a touching article. Wow, that was a great post. Thanks for sharing those memories. I lost my dad 4 years ago. I miss him more every day. Thanks for making me tear up at work. Probably a good reason why I shouldn't be Facebooking at work. Happy (early) Father's Day to you. Thanks Brad, sorry about the tears. Hope your computer didn't get water damage! Thanks for reading. Keep sharing those memories with your kids! #5 would be awesome for all of us wouldn't it? I'm sorry for your loss, I know what it means to miss your dad. I hope you can remember the happy memories this Father's Day. I always wonder how my father and my kids would have done together. I feel sad that my boys didn't get to experience him and vice versa. Larry, thanks for sharing. I feel the same way about my baby but I know that I can help my dad's legacy live on through being the best dad I can be and also sharing stories about my dad with all my kids. Hi Beau, could we share your great piece on our Social Media sites? We're a startup micro-diary website whose primary value is our belief that EVERY MEMORY MATTERS. Actually, the whole inspiration for us was keeping family; especially parent-child memories alive– all other memories just followed. Your piece really highlights what we believe in and would love to feature it for our fans and followers. Thanks! Father's Day will be a meal and time for me to watch him interact with my kids. I think that is among my favorite things to watch, to see my kids get to know grandpa. Sorry your father isn't here anymore, that can't be easy. Jack, thanks for sharing. I know that one of the best things I can do is try and be a great dad to my kids and also tell them stories about their grandpa. Hopefully this can inspire people to work on relationships with others and show love, because life is short. Hi Beau, My father also died from Pancreatic cancer, it's been a little over 3 months now. And i must admit, i am not looking forward to father day on the 9th. november (Norwegian). But one of the things i think about doing on fathers day to honor him is to fish in the perfect lake we found last year we're we catched a bucket load of trout. Thanks Hans. It does get better but its important to remember the good times. Appreciate you reading my post.